Lextar has released a series of Mini LED products including Mini LED RGB display modules and Mini LED backlight for notebooks and monitors. The products will be demonstrated at Touch Taiwan 2018 by the end of August in Taipei, Taiwan. 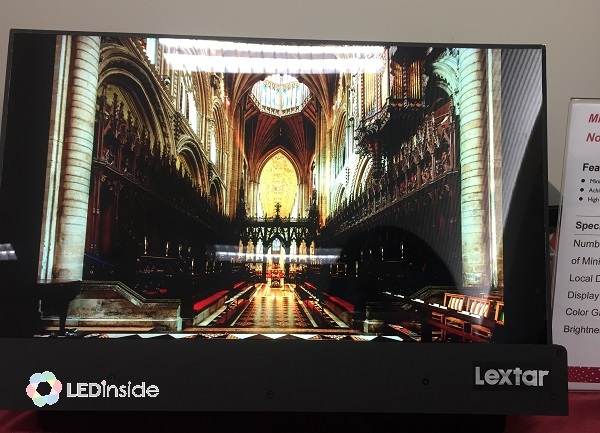 Lextar’s Mini LED backlight, with its features of local dimming and the unique wide color gamut technology developed by Lextar, is able to achieve a brightness of 1000 nits in HDR mode. Besides, its Mini LED backlight can be made ultra-thin, thanks to the company’s special optical technologies. According to the Chairman and CEO of Lextar, Dr. David Su, the difficulty of producing Mini LED backlight is that it requires manufacturers to efficiently use a small amount of LEDs to create a light source with uniformity. The more LEDs used, the more expensive the products would be. As the technology is still at the early development phase, producers are trying different methods to achieve high brightness and uniformity with less LEDs. 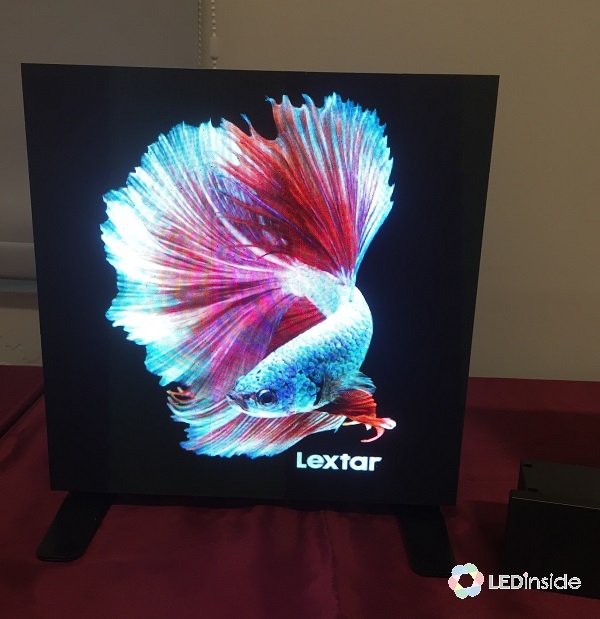 Lextar also showcased its UFP (Ultra Fine pitch) I-Mini (Integrated Mini) RGB display modules which integrate LED and driver circuit by directly transferring RGB chips onto a driver substrate. Featuring high brightness and high contrast, the Mini LED display modules are suitable for semi-outdoor environments. The company has started shipping Mini LED backlight products to its clients to be used in gaming products and drawing displays. Su pointed out that Mini LED backlight could make up for the current deficiency of certain applications. For example, the high brightness and local dimming advantages of Mini LED backlight would be perfect for displays on airplanes. Su said, the company targets clients on the top of the pyramid for high-end applications such as medical displays, automotive displays and public information displays. For Mini LED RGB displays, Lextar will focus on special size displays which panel makers have difficulty producing. The company has talked with several clients regarding different applications. The contribution of Mini LED products might not be significant in the second half of 2018. Lextar expects it will account for less than five percent of the company’s total revenue for this year. However, it is expected that Mini LED products will achieve a penetration rate of reach more than 10 percent in the future.